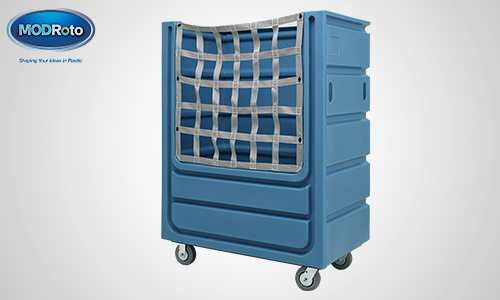 The ergonomic 72L laundry cart has a wider, lower cutout than the laundry industry standard Poly-Trux® 72P linen cart for even easier access to goods in the bottom and corners of the bulk truck with less bending and reaching. 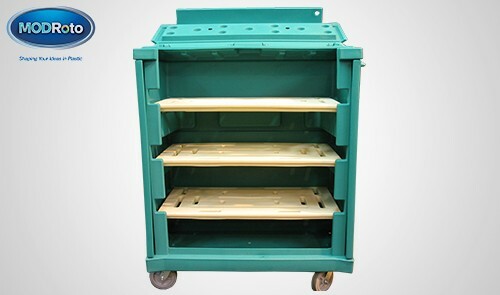 The wide opening spans nearly the entire width of the ergonomic cart. To secure folded, stacked linens and bagged laundry during movement or for over the road transport, the 72L is offered with our optional, Secure Net design. This features durable cargo netting criss-crossing the front. Linens are held securely inside for transport yet the netting may be removed with no tools for access and for cart washing then returned for reuse. When the Secure Net system is added to the 72L, it becomes the 72N. 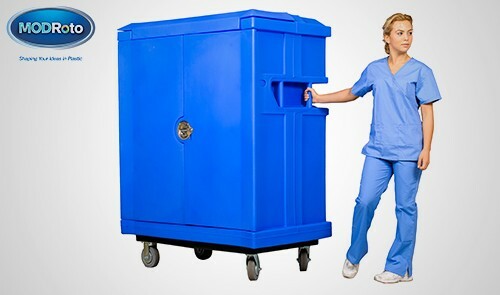 Both the MODRoto 72L and 72N laundry carts are rotationally molded from 100% waterproof, chemical-resistant polyethylene. 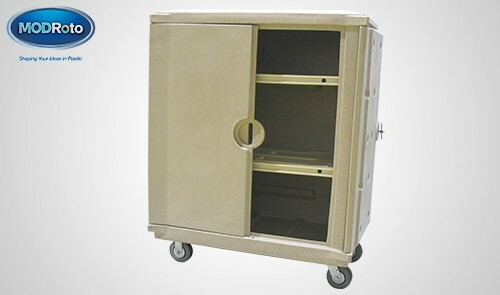 Both come with our powder-coated, steel, full-perimeter base as standard and our poly-steel base as an option. Industrial-strength, non-marking casters also included as standard.